An energetic and happy outlook on the world. Based on American casual items mixed with trendy, edgy items. Starting January 25, 2019 (Friday), Rodeo Crowns and RODEO CROWNS WIDE BOWL will be integrated to further expand our wide collection of products. The name of the stores will not be changed. 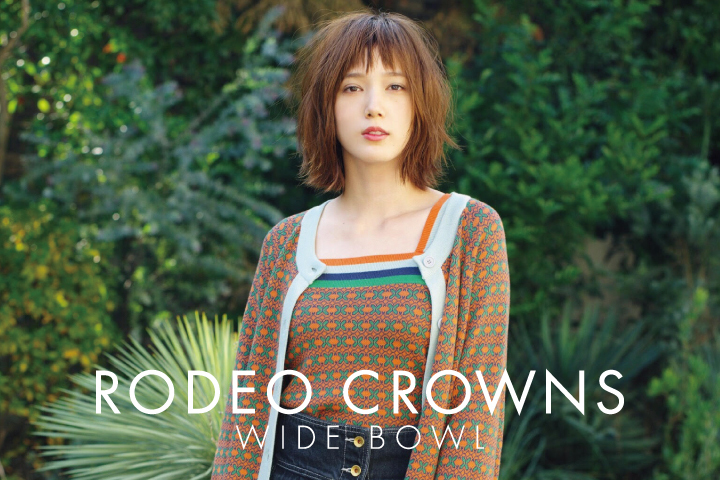 Rodeo Crowns stores will exclusively carry ladies’ wear while RODEO CROWNS WIDE BOWL stores will carry men’s and kids’ wear in addition to ladies’ wear. *Product availability may differ from store to store.